Dave Procopio spent years in the construction business on the eastern side of the state before moving out to western Massachusetts to raise his family in the country. 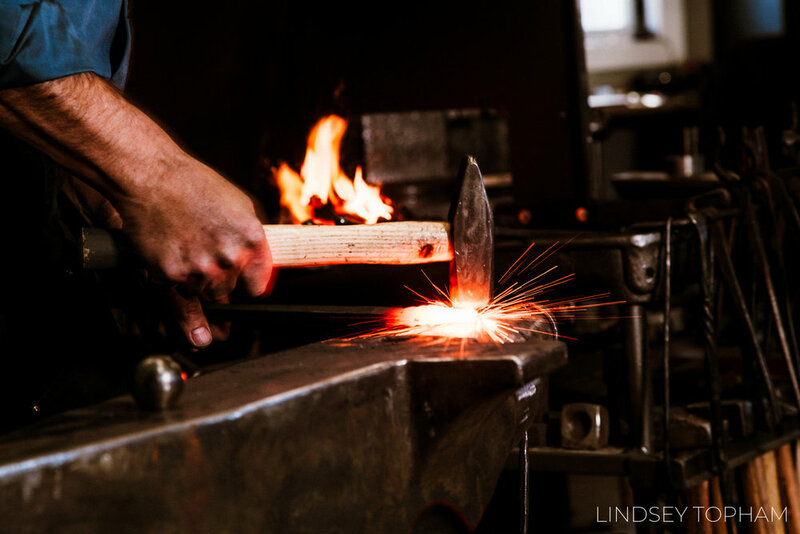 With a background in aviation maintenance, welding, business and construction, Procopio said that blacksmithing draws on all of his skills in a really unique way. His studio is warm and cozy and filled with all of the old school charm you’d expect from a blacksmith. A new website is in the works for Iron Pioneer Metalsmiths and Dave was looking for some fresh content so he had me over to the workshop for the day to capture what he does best. It was hard to narrow down my favorites from this one. I photographed fire and smoke and metal and power hammers and all of these crazy things that are just so dramatic to watch in real life. It felt great to draw on some of my background in photojournalism and to use some of the new lights I bought! Thanks for sharing your craft with me Dave! Now booking content sessions for small business owners.